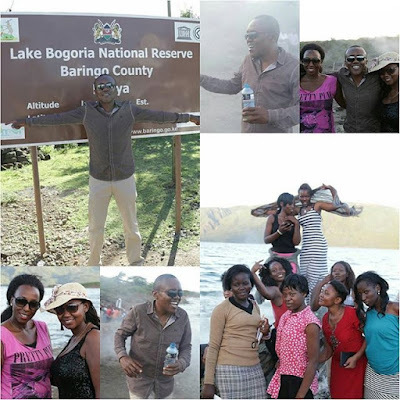 A few months ago popularly known Classic 105 presenter Maina kageni launched a campaign dubbed, Tembea Kenya that is meant to promote Local Tourism in Kenya. Currently maina has been cruising around the country enjoying the mother nature that our country can offer. Over the weekend Maina was at Lake Baringo National Reserve where he was spotted enjoying some quality time with some hot mamacitas.